The Summer Singers of Atlanta was created in 1990 as Atlanta’s “original summer chorus.” No audition is required for membership. Adult and mature youth are welcomed from all walks of life and from every level of music experience and interests in the chorus that averages between 100 and 150 members each year. 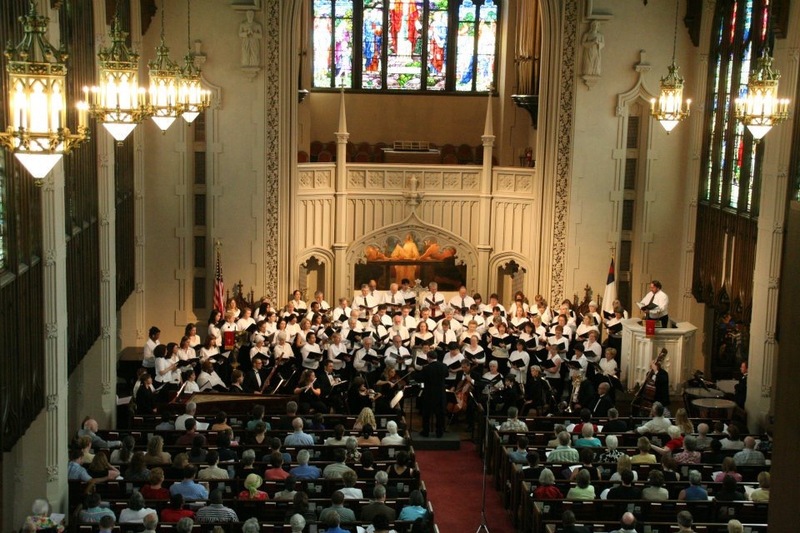 Singers have traveled to Midtown Atlanta from as far as Savannah, Georgia, Chattanooga, Tennessee and Charlotte, North Carolina to be a part of weekly rehearsals in preparation of a grand choral masterwork performed with orchestra. Weekly rehearsals begin in early June and continue until the annual performance in early August. Novice singers are supported by the many music professionals and well-trained singers that are attracted to the opportunity to sing immortal works with professional soloists and top-notch orchestra musicians in an environment focused on learning. 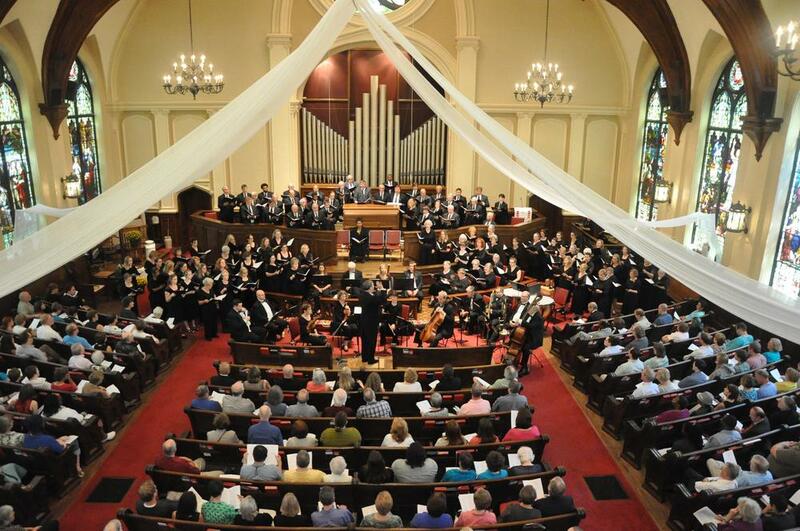 Across the 29 seasons of the Summer Singers of Atlanta, both critics and audiences have marveled at the artistic excellence achieved in a truly community setting. Masterworks performed in recent years have included Beethoven: Mass in C and Symphony No. 9; Mozart: Requiem, Solemn Vespers, and Mass in C minor; Brahms: Ein deutsches Requiem; Haydn: The Creation, Te Deum and Lord Nelson Mass; Vivaldi: Gloria; Handel: Messiah (choruses); Orff: Carmina Burana; and dozens of other masterworks. Membership registration opens March 1 of each year. Our next Summer Singers programs include Brahms: Ein deutsches Requiem in 2019 and Mozart, Requiem in 2020. Dr. William Baker has announced his retirement as director of the Summer Singers of Atlanta following the 2019 season. Andrew Phillip Schmidt will become Music Director & Conductor beginning with the 2020 season.